Manchester United boss Louis van Gaal is planning to spend another big amount in the 2015 summer as he told that the budget will not block United’s future. Manager Louis van Gaal who has already spent more than £150million since his arrival is still looking for big names, reports have claimed that United will be offering Bayern Munich star Arjen Robben at the end of the season. Manchester United have spent £215million since last year’s summer. Few weeks ago, it was reported that Red Devils Chairman Ed Woodward has told United boss that he won’t be having a big budget for the future as he has already spent a huge amount. United signed Angel di Maria for a record fee around £60million from Real Madrid in the summer. United struggled in the start of the season but now have managed to get on track after winning four consecutive Premier League games. The Dutch boss who is confident of finishing in the top four this season is eyeing to bring old glory days back at Old Trafford from the next season. 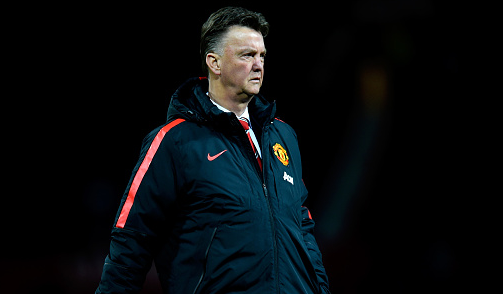 LVG have targeted Dani Alves, Mats Hummels, Diego Godin and Kevin Strootman for the summer window. While Atletico Madrid boss Diego Simeone has clearly told that centre-back Diego Godin will not leave for less than £28.5million which is his release clause.